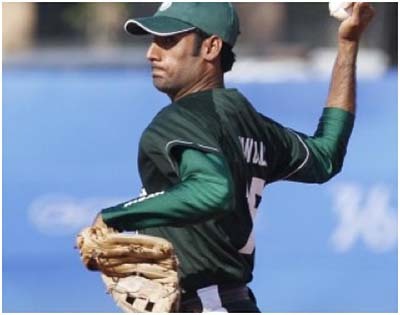 15 players of under 18 years old led by Syed Khawar Shah, Pakistan Baseball Federation secretary will arrive in Tokyo on September 27 and will play friendly games with Kosei Gakuen High School on Saturday September 28 and Metropolitan Sohgo Kohka High School on Sunday, September 29. The visit follows the decision of Executive Committee of Baseball Federation of Asia in Taipei on July 29, 2013 that BFA under President Tom Peng of Chinese Taipei and Vice President Yoshinobu Suzuki of Japan will focus on development of baseball in Asia, particularly China and West Asia. In recognition of Pakistan’s positive contribution for the promotion of baseball in the country and in the region including the hosting of 11th West Asia Baseball Cup at Lahore from November 25 to December 1, Baseball Federation of Japan with the cooperation of Tokyo Metropolitan High School Baseball Federation. In addition to the baseball games, Team Pakistan will be treated by Team Kosei Gakuen to joint practice session and will visit school festival of Sohgo Kohka High School.